Dr. David Murray, president of HeadHeartHand, is the Professor of Old Testament and Practical Theology at Puritan Reformed Theological Seminary, has written a book I believe is one of the most important to be read by preachers and Bible teachers today. It's both that important and that good. Jesus on Every Page: 10 Simple Ways to Seek and Find Christ in the Old Testament will help you read God's word with a better understanding of the One to whom all of it testifies. Between those who find Jesus in every background character in the Old Testament and those who practically ignore his promises and presence, this is a much needed easily digestible work. I was given an early copy and wrote the following endorsement. 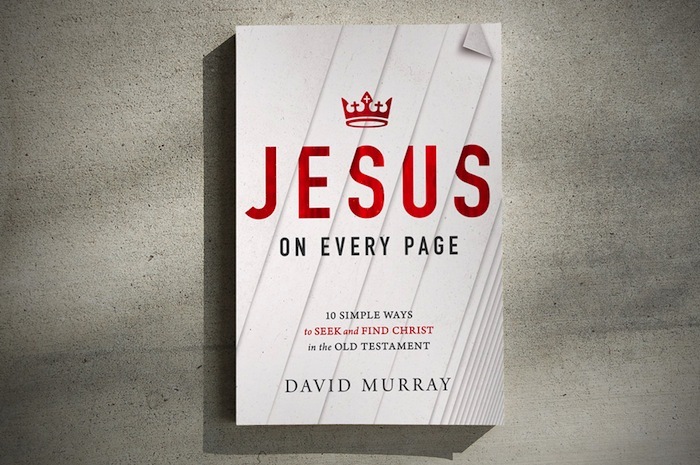 David Murray’s Jesus on Every Page is the missing piece in most approaches to hermeneutics. A piece so central and important that without it the picture Scripture paints is incomplete and marred. Dr. Murray guides the reader safely through the Old Testament pointing to the Son of God who is there in person and promise. I can’t imagine a clearer or more helpful book that shows us what Jesus meant when he said the Law, the Prophets, and Psalms all speak of his person and work. You want this. You need this. And while I hope you will go and buy one (or better yet, several for others in your church), I am giving away two copies here on the blog. To enter this giveaway just leave a comment and spread the word about the giveaway on Facebook and/or Twitter. I will randomly select winners on Friday. The winners of the giveaway are Nate Downey and Brian Cleary! Information will be coming your way soon, brothers. Congratulations!